Hey all! Just created a t-shirt design for TeePublic's Black Friday Sale! 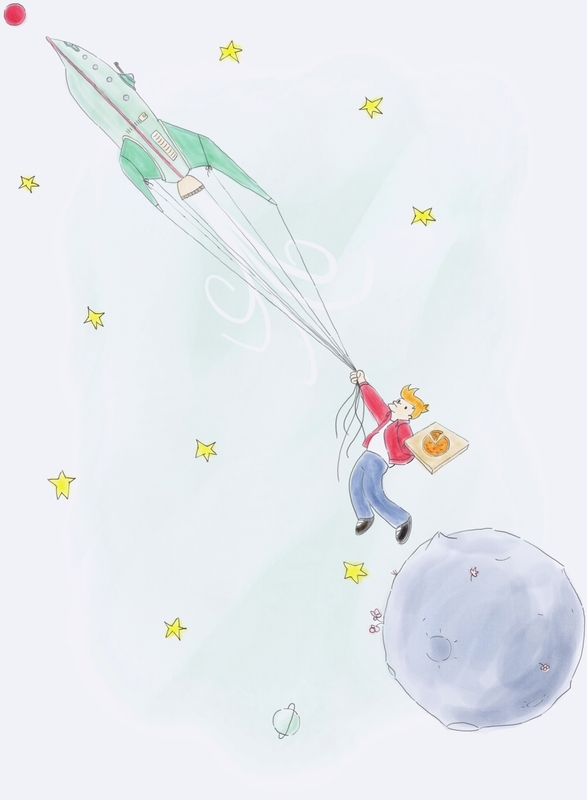 It's a mash-up of Futurama and Le Petit Prince by Antoine de St-Exupery, featuring Fry catching a ride from the Planet Express Ship in order to deliver his pizza from one small planet to another.